How Often Will I be Paid Temporary Total Disability and What Happens if my Check is Late? 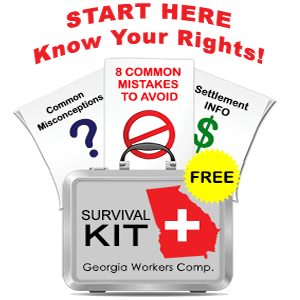 The workers’ compensation section of the Official Code of Georgia sets out very specific rules regarding the payment of TTD (temporary total disability) checks to injured workers in claims that are “picked up” by insurance companies. your first TTD check is due no later than 21 days after the first day you missed work. if the insurance company is not based in Georgia, the postmark on the mailed check must be at least 3 days before the end of the 7 day period. In other words, if your first check was mailed on March 5, then the second check must be mailed by March 9, the third check by March 16, and so forth. the lateness of the payment will be determined by the postmark, not by when you receive it. if your TTD check is mailed late, then the insurance company will owe you a penalty amounting to 15% of your check.